Dell branded (non-generic) 300GB 15k SAS HDD for your PowerEdge and PowerVault storage needs. 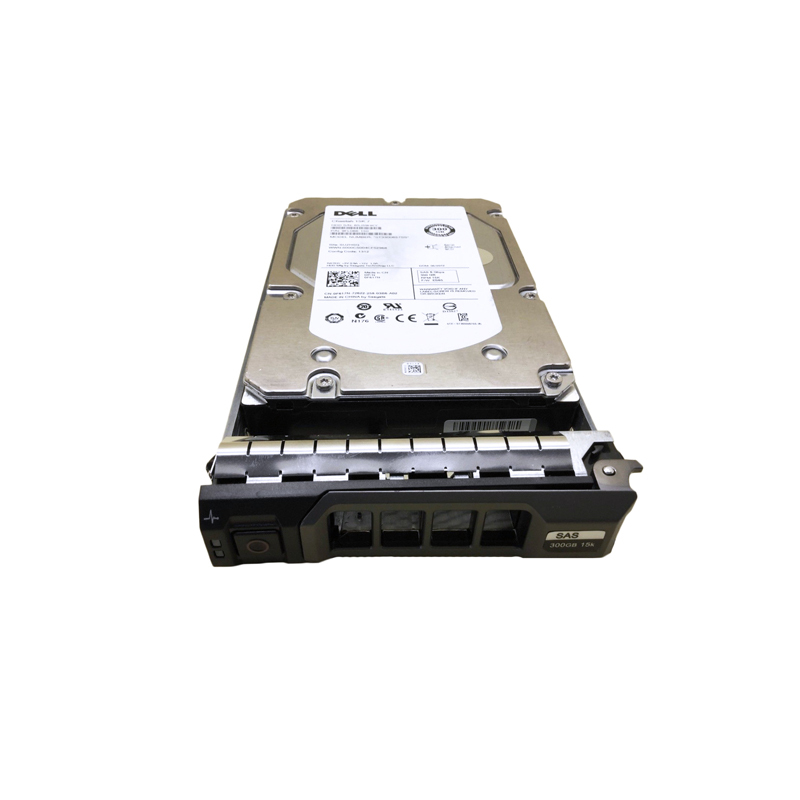 The F617N is a hot-swappable 300GB 15k RPM 6GBps SAS 3.5″ hard drive with tray for use specifically in Dell PowerVault direct attached storage (DAS) arrays and Dell PowerEdge servers. Whether you’re upgrading your PowerVault or PowerEdge system or simply looking for a replacement hard drive, we have what you need. If you don’t see the part listed that you’re looking for, please use our Contact Us form; as we have many parts in inventory that are not listed. Please note that all Dell hard drives, systems and parts are used, fully-tested and backed by a 60 day warranty. Same day, expedited, and international shipping available! Using the 15k RPM drives such as part numbers F617N, 9FL066-150, and ST3300657SS, in applications that use small block, random I/O is an important factor in realizing higher performance benefits. These applications have a tendency to minimize any caching advantages of the storage system. In addition, with applications such as these, the physical access to data on the disk has the greatest effect on overall performance. These small block, random I/O applications reap the greatest benefits from storage-system performance improvements achieved through the drive’s improved seek and rotational latency times. Dell PowerEdge T-Series T20, T100, T105, T110 (Gen I,II), T300, T310, T320, T330, T410, T420, T430, T605, T610, T620, T630, T710 Servers, Dell PowerEdge R-Series R210 (Gen I, II), R220, R230, R300, R310, R320, R330, R410, R415, R420, R430, R510, R520, R530, R530XD, R630, R710, R715, R720, R720XD, R730XD, R730, R900, R905, R920, R930, Dell PowerEdge C-Series C1100 C2100 C6100 C6220 Servers, Dell PowerEdge M-Series M420, M510, M520, M610x, M630, M710HD, M830, M915 Blade Servers, Dell PowerVault M-Series M1000e, MD1120, MD1200, MD1220, MD3000i, MD3060e, MD3200, MD3200i, MD3220, MD3220i, MD3400, MD3420, MD3460, MD3600f, MD3600i, MD3620f, MD3800f, MD3800i, MD3820f, MD3820i, MD3860i Storage Arrays, Dell PowerVault N-Series NF600, NX300, NX400, NX3000, NX3100, NX3200, NX3300 Network Attached Storage.